New ListingSPAWN #8 1993 IMAGE COMICS BY ALAN MOORE TODD MCFARLANE NEWSSTAND EDITION, RARE! 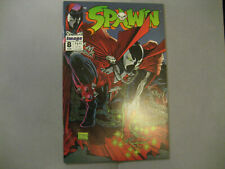 1993 Spawn #8 Image comics Todd McFarlane/Alan Moore W/Poster READ! LOOK! WOW!!! 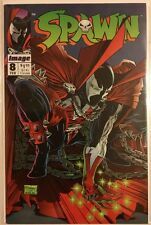 Spawn #8 Image Comics Buy More and Save! Spawn #8 (Feb 1993, Image) "In Heaven!" Free shipping! This page was last updated: 24-Apr 15:34. Number of bids and bid amounts may be slightly out of date. See each listing for international shipping options and costs.